Working out should be tangle free. Wouldn't you agree? The 1 Voice Headband is a sports headband with built-in Bluetooth earbuds. It is perfect for jogging, gym workouts, biking and more. You can keep any activity tangle-free and hands-free by eliminating wires and keeping stray hairs off the face and neck. Plus, enhanced performance fabric wicks away sweat and moisture for a cool and dry experience that delivers quality, wire-free sound. Using 1 Voice is easy. Wearers simply sync their devices, slip on the headband, pop in the discreet and comfortable gel earbuds, and go! Now wearers can pump some iron, strike a pose, or hit those summer-time trails without knotted wires tripping them up, yanking out buds, or breaking their form. 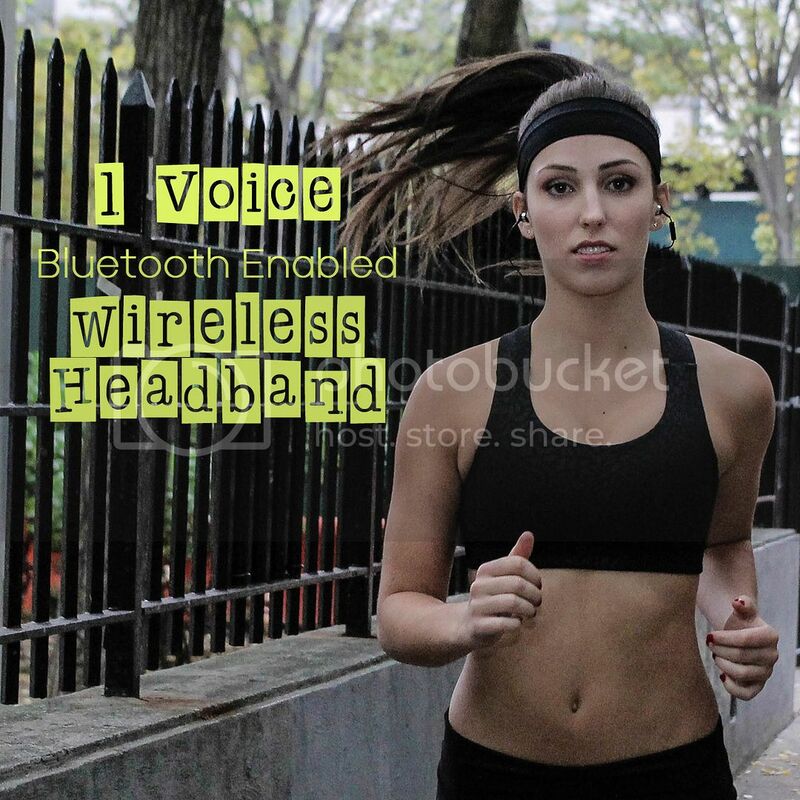 Who can use the 1 Voice Bluetooth Enabled Wireless Headband? Runners: Get your best posture yet. Did you know? Most runners carry their head stiff and straight to avoid snagging the cord on their shirts or arms and having to deal with earbuds getting yanked out of their ears. Running with Bluetooth earbuds and not having to worry about snagging wires – gives you total freedom and lets you hit that runner’s high with ease and better posture. Boxers/Kickboxers: Ever tried to hit the heavy bag with earbud wires dangling across your body? If you have – you know it doesn’t work. Throw on the headband, put the earbuds in your ear, hit play on your favorite music and toss the phone within 30 feet. Hit away! Gym enthusiasts: You can still use those ab machines, do crunches, pullups, and lift weights without worrying about the wire being too short or constantly getting snagged on equipment. Follow the same steps above – and keep hitting your fitness goals without dealing with the frustration of slowing down your workout routine to adjust your wires! I love my 1 Voice. It makes it so much easier to work out and listen to your favorite music at the same time! It was easy to set up and comfortable to use. This is a very cool product. Check it out! Connect :: Visit 1voicenyc.com to learn more about the latest in wearable tech. Connect with 1 Voice via Facebook and Twitter. Buy It :: You can purchase the 1 Voice Headband for $59.